Kitchen gadgets – what are your favorite kitchen gadgets? I have listed fourteen kitchen gadgets below, most of which I have and some I would love to add to my kitchen. Some are regular kitchen gadgets and some are not, but these are the ones that I have really come to like and depend on. Maybe this list of kitchen gadgets will reveal something that you have never tried and would perhaps like to give a try. 1. Manuel Food Chopper: I’m talking about a good old hand chopper. I use it for most anything fruits, softer veggies, nuts, meat, etc. 2. Vitamix Standard Blender: Oh my! I have had mine for over 10 years now and it still works great. It has been well worth the money. I love the fact that it grinds ice so easily and that I can make thick and creamy smoothies. It is great if you are following a special diet to make those special foods. 3. Whisk: Who can do without a whisk in their kitchen? Just whisk it out and use it! 5. Slow Cooker: How does anyone handle life without a crockpot? This one looks really great – 8 qt! Mine is a 6 qt, but I have a large family and I just might have to add this one myself. 6. Microwave Steamer: Oh my, I found this at a Dollar store several years ago and use it a lot! It works awesome and I am sure there are many other styles you could find. 7. Fresh Cut Salad Knife with Serrated Edges: Don’t you hate it when your green stuff turns brown after you cut it up. Well these great knives don’t let that happen. And they are sharp! 8. Nut Chopper with Non-Skid Base: Oh, yes, this little gadget just makes life simpler. 9. Kitchen Shears: Yes, a great essential to any kitchen; if you don’t have some, get some – you will never regret it. 10. Food Processor: I’ve been long without one, but it is on my list to find a medium size one that works well. Any Suggestions? 11. Cheese Grater: I have the regular handheld kind which is fine, but sure would love one like this. 12. Salad Spinner: This is great for spinning out that lettuce or other greens or even veggies that you have just washed and cut up. It gets all that excess water out and helps keep everything fresh. 13. Coffee Grinder: Since I follow along Trim Healthy Mama (affiliate link) to some degree, this has really been a help to me. I grind my erythrito l or xylitol in it along with Stevia and make my own sweet blends. 14. 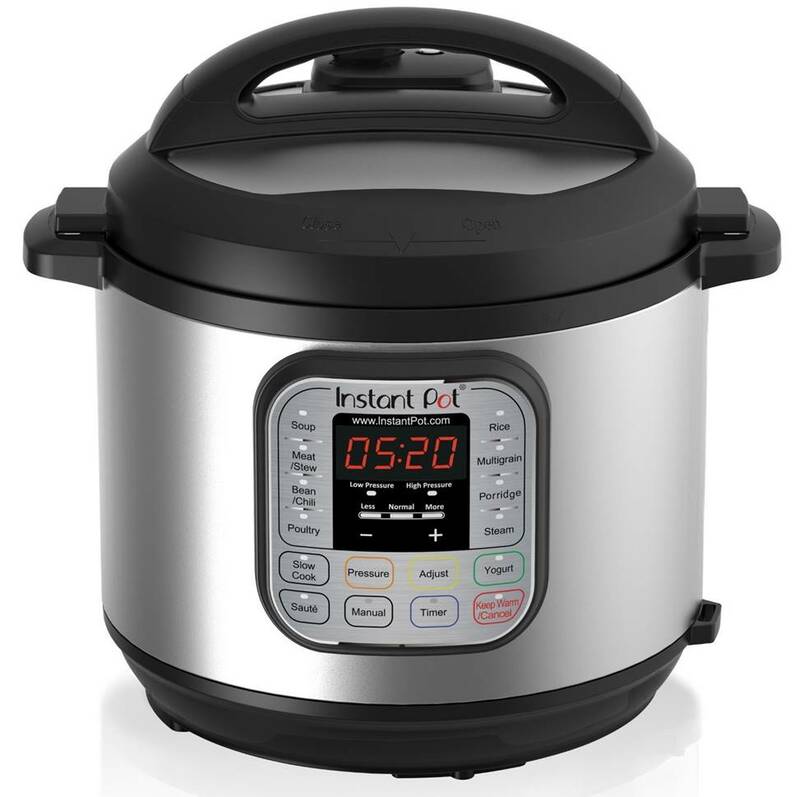 Instant Pot : I just ordered one of these. I’m looking forward to using it and who knows, maybe I will do away with my crockpots. We’ll see! I am sure there are many more gadgets that would help in the kitchen. Do you have a favorite? I would love to hear about it; it might be something I want to add to my collection. Let me know in the comments below.